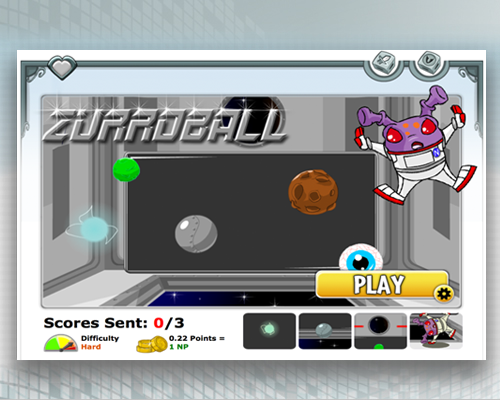 Deckball: Choose your Zurroball, and then see how long you can keep it in the air by clicking on it. Very simple really! 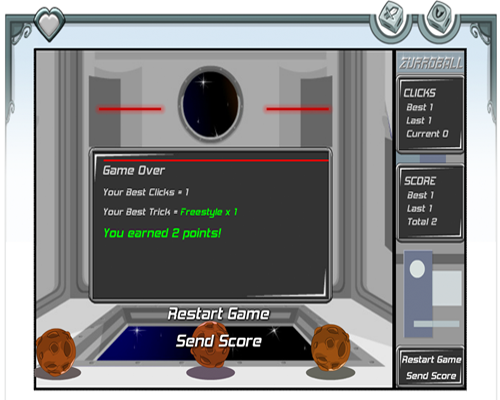 Do tricks such as the Boomerang and Left Zurro to earn bonus points. 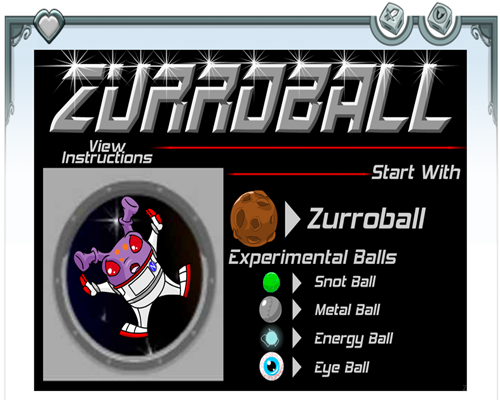 You can only collect the points by hitting the Zurroball over the red line. Try and accumulate as many points as possible before you do this.